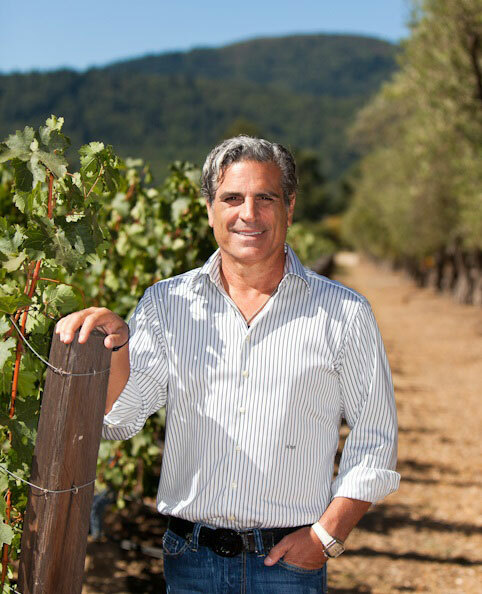 Michael’s greatest challenge is finding the right terroir and people to create the best Cabernet Sauvignon. I have been in the industry for 17 years now. My close friend, Alex Solis, took me to spend a weekend with Jess Jackson at his home in Alexander Valley. We had an instant connection from our love of the horse racing industry. That weekend he flew me to view his vineyards from one end of the coast to another. So inspiring to me. David Long of David Arthur vineyards. David was so kind and generous to me in sharing his experience in the wine industry. When I was fortunate enough to try his Elevation 1147 wine I was sold. The passion and excitement I see when people know I'm in the wine business. I take great pleasure enjoying the experience with others. Finding just the right terroir and people to create the best Cabernet Sauvignon. Creating great partnerships from vineyard management to winemaker and everything in between. The terroir, weather and the small town feel. Quality control and surrounding our winery with the very best people along with my son, Christopher. I want to pass along my legacy to him so he can continue our winery for the next generation. Real estate development. I love creating something from nothing. Whether it be a building or home from the ground up or a beautiful wine from a seed. I love to watch it from the start to finish. Angelo Gaja, Frank Sinatra and my dad who never got to see my accomplishments. Make sure you are prepared for a long journey that takes years to develop. Do not expect financial independence. Do it strictly for the love. Although I have a big personality and people assume I love an audience, I prefer to be surrounded by my family.